This chapter reports the findings of an ethnographic study of young people living in and around Kathmandu, Nepal, especially in terms of their engagement with modern schooling. 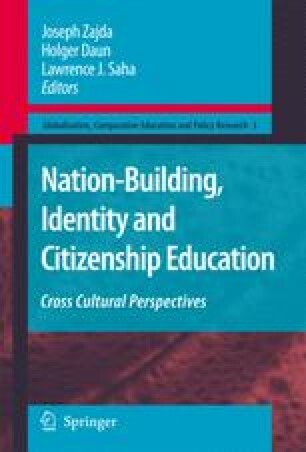 By tracing down processes of socialisation and enculturation, the research examines the culturally grounded histories poor children carry with them as migrants to the city, the ways in which they negotiate new roles and subject positions, and the formation of what Levinson and others (1996) call ‘schooled identity’. We suggest that many children gain much from formal education but that this is predominately in terms of a range of unseen and unintended phenomena that provide resources with which to craft new identities able to negotiate those bequeathed to them by history and circumstance. The extent to which these new identities lead to such things as democratic citizens, loyal subjects or, for example, consumers within modernising capitalist economies will continue to exercise the thoughts and policies of development agencies, national governments, and school professionals, even though for many children such concerns are distant.